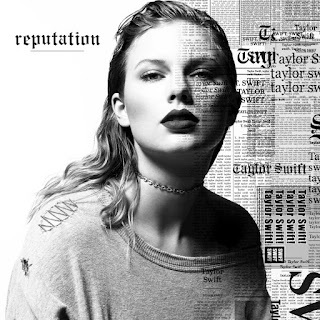 Taylor Swift is one of those artists that can bring up very different reactions, some people are indifferent but most either hate her or love her. Throughout her career she has been a target of a lot of media attention, especially her love life which she often writes about in her music. With the single that she put out at the end of August, "Look What You Made Me Do" Swift responded to many of the things that critics have said about her, while also commenting on issues she's had with certain artists like Kanye West and Katy Perry. When Swift released the video at the VMAs on August 27th she got everyone's attention as various news sources tried to decode all of the visual imagery. Since it has been released the song and video broke multiple records, Swift passed Adele for most-streamed debut week by a female artist, with 84.4 million U.S. streams, and displaced "Despacito" at the top of the Hot 100 list, which also made her the first woman to top the Hot 100 list so far this year. The song also broke Spotify's first-day streams record with 10,129,087 plays in a single day, the most streams generated by any song in one day since Spotify launched. Whether or not you like Taylor Swift, you have to admit, she is impressive and record-breaking. Tune into WNJR to hear some of "old Taylor"'s music and much more!